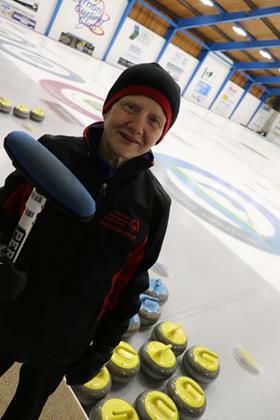 Meet SOBC – Sunshine Coast athlete Shelley McCuaig, a great teammate who says the most important part of being a Special Olympics athlete is having fun. 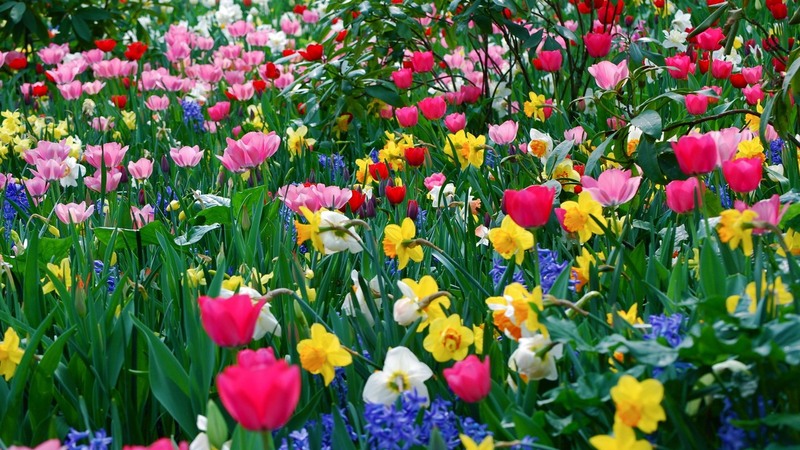 Look to your friends both in person and online for encouragement. Working out with friends can be a great tool for motivating yourself and staying accountable. It may also encourage your friends to get active. 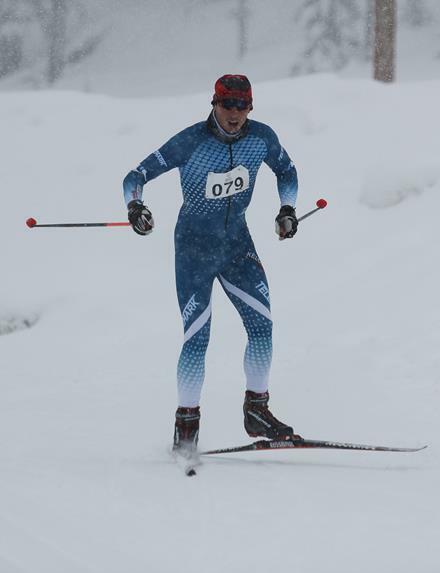 From February 21 to 23, more than 600 athletes gave their all in the 2019 Special Olympics BC Winter Games, and inspired everyone watching with their determination, sportsmanship, and joy. These were SOBC’s largest Provincial Winter Games yet, and a thrilling display of the abilities and drive of Special Olympics athletes. On March 19, New Car Dealers Association of BC members continued their outstanding support of Special Olympics BC at Unveiled, the Vancouver International Auto Show kickoff gala. SOBC had a presence at this high-profile event, providing an important opportunity to raise awareness and funds for SOBC athletes and programs throughout the province. SOBC – Vancouver athletes Sarah Brown, Robyn Rauh, Alison Rodrigues, and Richard Louis are pictured here enjoying Unveiled and time with New Car Dealers Association Chair Jeff Hall (centre). On now through March 24, the Vancouver International Auto Show is Western Canada’s best-attended consumer automotive event. The annual event takes place at the Vancouver Convention Centre and features more than 400 vehicles from top automotive manufacturers. 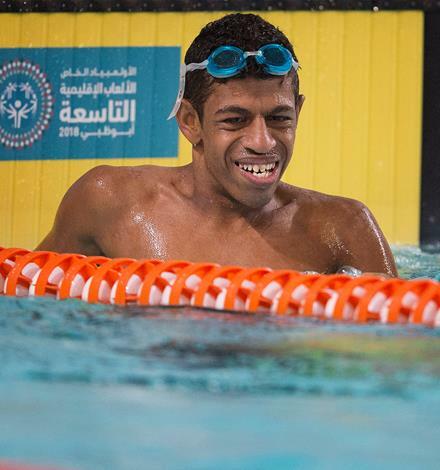 The 2019 Special Olympics World Summer Games have come to a close, after a week of remarkable competition where more than 7,500 athletes with intellectual disabilities from 200 countries showed the world their amazing abilities in Abu Dhabi and Dubai. Huge congrats to Special Olympics Team Canada 2019 and the incredible B.C. contingent of 11 athletes, six coaches, and three mission staff! We’re so inspired by these determined athletes who worked so hard and delivered top-quality performances when it counted, and so thankful to all the coaches, volunteers, families, and supporters who have helped them show their amazing abilities on the world stage. “As ambassadors for sport and good citizens, our athletes excel,” says Team Canada athletics Head Coach Tom Norton of SOBC – Abbotsford. Please click here for full B.C. results. Lots more reactions to come! 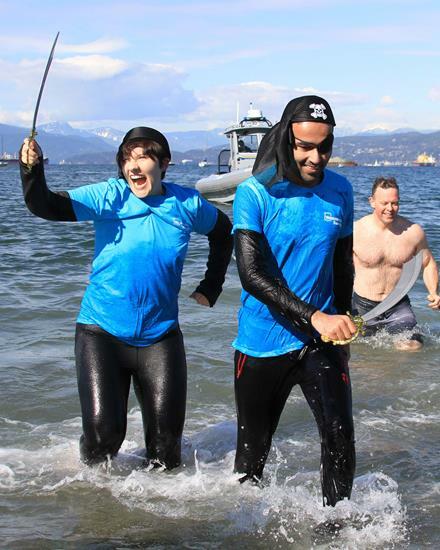 Watch SOBC – Abbotsford athlete and athlete reporter James Clifford’s coverage of the Vancouver Polar Plunge. 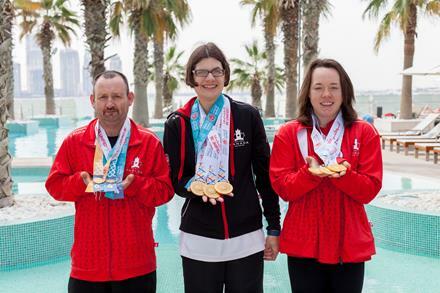 Immediately following the 2019 Special Olympics BC Winter Games, four SOBC figure skaters headed to Red Deer, Alberta, to the 2019 Canada Winter Games to show the nation all that they can do! Our province was well represented by SOBC – Vancouver’s Jeff Leung and Eric Pahima, Kari Trott of SOBC – Port Alberni, and Jennifer Utendale of SOBC – Surrey, supported by Head Coach Jessica Chapelski and coach ZhaoKai Pang, both of SOBC – Vancouver! 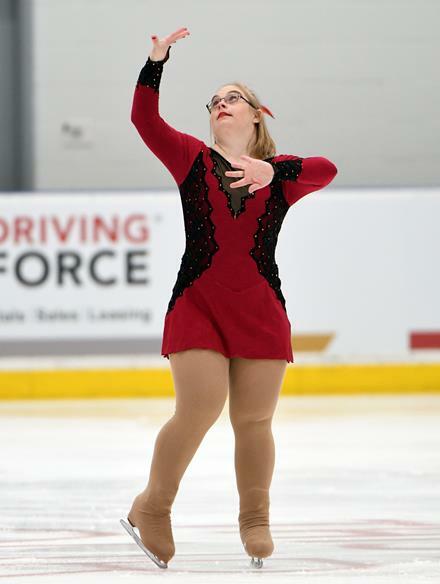 SOBC’s four figure skaters delivered inspiring performances that earned lots of admiration and support from the cheering fans and from their Team BC teammates from mainstream sport. Pahima and Leung finished second and third, respectively, in Special Olympics Singles Level 2 Male, while Utendale earned fourth place in SO Singles Level 2 Female and Trott skated to fifth place in SO Singles Level 3 Female. The Canada Games is the largest and most prestigious multi-sport competition for young Canadian athletes. 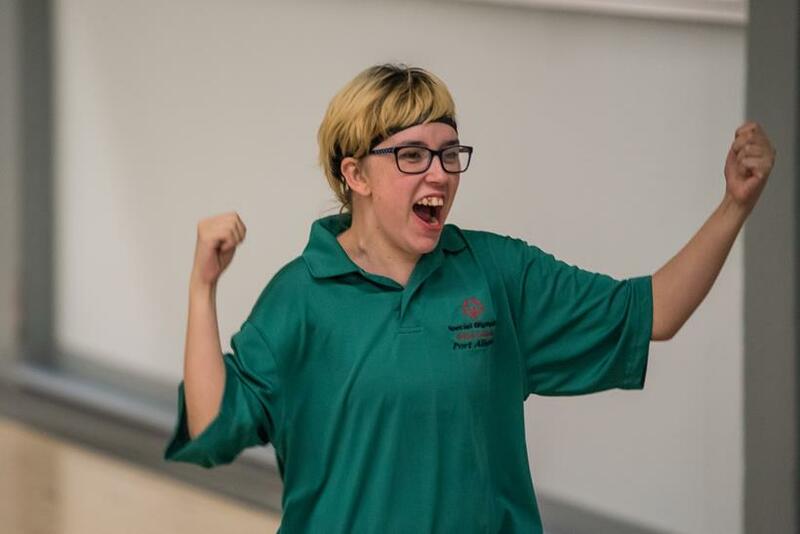 The Special Olympics figure skaters turned many heads with their passion for their sport, their inspiring energy, and their outstanding sportsmanship. Skate Canada, the sport’s national governing body, chose to feature them in this awesome article. “It’s the friends I make that means most,” Pahima told Skate Canada, flanked by Leung and Ontario’s Michael Raytchev. “And to stand at centre ice, standing tall, and seeing all those people cheering me on. Watch SOBC’s website and social media channels for the full event recap! 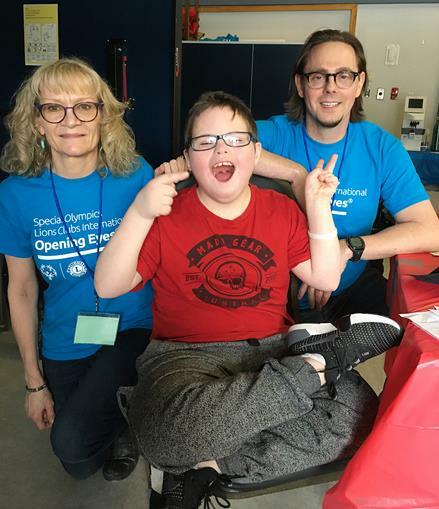 SOBC’s next Healthy Athletes Screening Day will be hosted in Victoria on May 4, 10 a.m. to 3 p.m. at Colquitz Middle School, with free, fun screenings in the disciplines of Healthy Hearing, Opening Eyes, Special Smiles, and Nutrition. 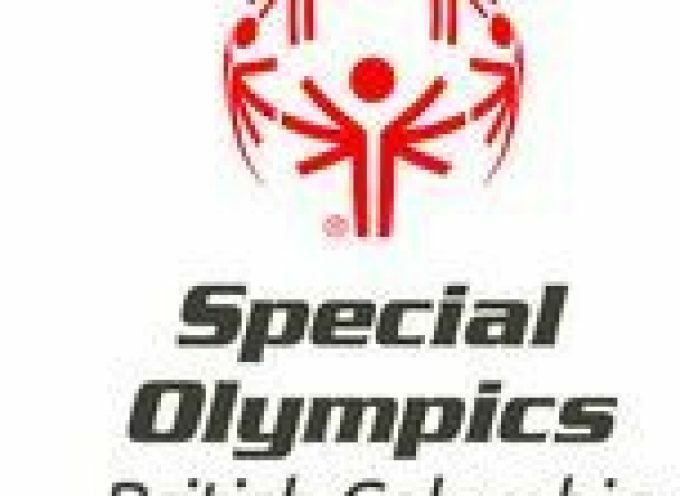 For more information, please contact Sarah Russell, SOBC Health & Engagement Coordinator, by email at srussell@specialolympics.bc.ca or phone at 604-737-3081. 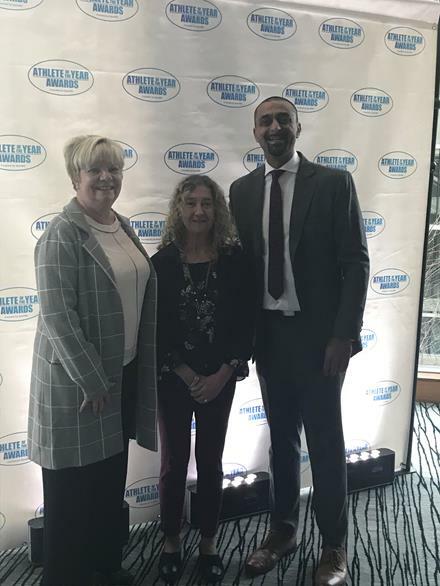 Hogan is the winner of the 2019 Sport BC Presidents’ Award for SOBC, Langridge received a Government of B.C. Medal of Good Citizenship, Norton was invested into the Order of Merit of the Police Forces, and Wyse was honoured with a 2019 Community Sport Hero Award from the City of Kelowna and PacificSport Okanagan. Thousands of Special Olympics BC athletes, volunteers, and sponsors help to inspire greatness within our organization and within our community. Special Olympics BC is proud to recognize the exceptional contributions and achievements of SOBC athletes, volunteers, and sponsors through our annual awards. 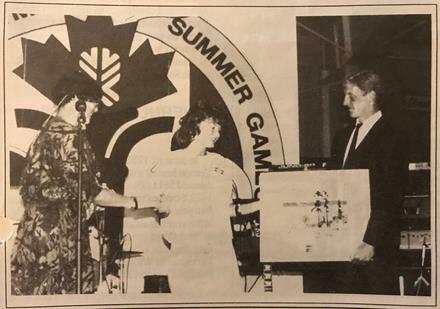 The Special Olympics BC awards program began in 1989 with the creation of the Howard Carter Award. Read more in our latest #50moments story! The 2019 deadline for SOBC award nominations is April 4. 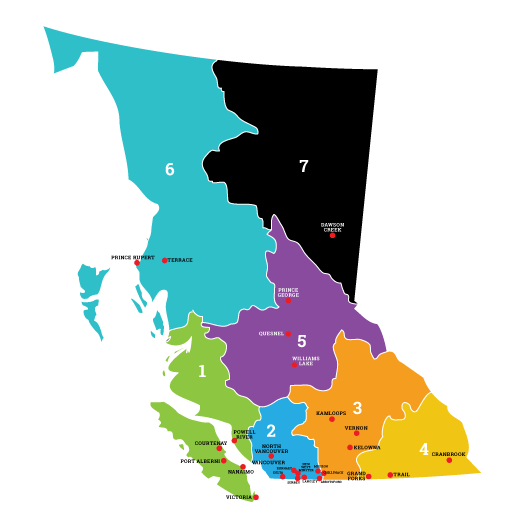 All registered members of Special Olympics BC have the ability to nominate an individual for the President’s Award, Howard Carter Award, Spirit of Sport Award, Grassroots Coach Award, and/or Athletic Achievement Award. All nominations must be endorsed by the Local before they are submitted to Provincial Office. Please click here for more details and nomination forms. 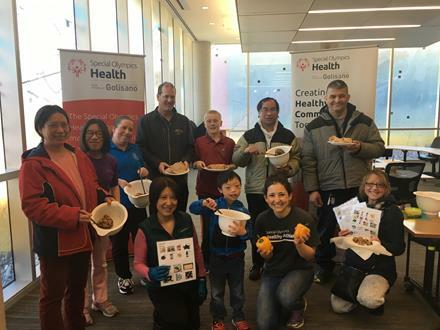 This month saw fabulous families participate in a fantastic Special Olympics BC Family Health Forum featuring food prep tips and fun learning together at Surrey City Hall! We are very grateful to the participants and to the Golisano Foundation and Lions Clubs International for making valuable Family Health Forum opportunities possible. Look at a green apple. Look at a red apple. Different on the outside – but inside, they’re the same. That was one of the inclusive metaphors explored by students at Jaffray Elementary / Jr. Secondary School students on March 6, the 11th annual international awareness day for the Spread the Word: Inclusion campaign. 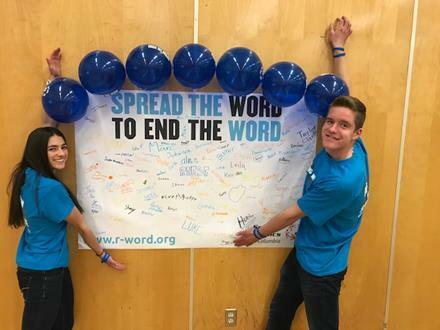 These inspiring young people joined champions around the province and the globe in speaking out to show respect and inclusion for individuals with intellectual disabilities. The Spread the Word to End the Word campaign has been working to spread respect and inclusion for the past 10 years by addressing the excluding and demeaning impact of the words “retard(ed).” Since 2009, more than 1 million people have pledged to end their use of the R-word, and the pledges and awareness have made a difference – in 2017, 70 per cent of teens said they spoke out against the wrong and demeaning use of the R-word when it used in conversation, up nearly 50 per cent since 2009. The campaign’s new form – Spread the Word: Inclusion – builds on the success of the past 10 years by challenging everyone to commit to respect and include. 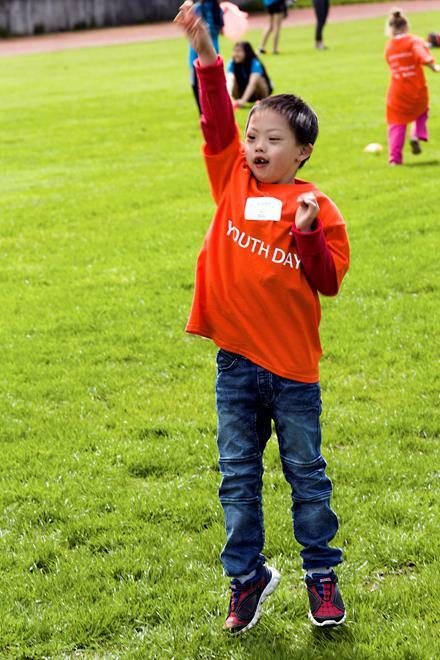 The Lower Mainland Special Olympics BC Youth Sports Day will be coming back to Burnaby this year for all Active Start and FUNdamentals participants to enjoy! For more information, please contact SOBC’s Chelsea Rogers by email or by phone at 604-802-4226.